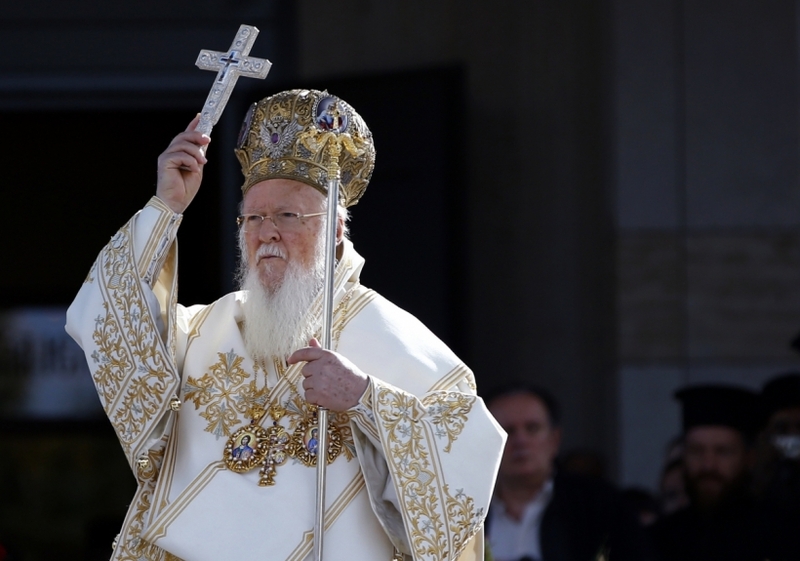 The roots of historical conflicts between Christians and Muslims are normally in politics and not in religion, the Ecumenical Patriarch of Constantinople, Bartholomew I, has said in Istanbul. “Christians and Muslims have lived together, sharing the same geographical region, in the context of the Byzantine and the Ottoman Empires,” he said in a speech at the Eurasian Economic Summit in Istanbul on Thursday. Bartholomew spoke behalf of the Ecumenical Patriarchate, a founding member of the World Council of Churches (WCC) at the February 4 till 6 summit organized by the Marmara Foundation. “This is precisely why a dialogue, which acknowledges differences but also suggests ways to negotiate differences, may prove helpful to map out appropriate avenues of communication. “It is the only way of discovering the peace,” noted the Ecumenical Patriarch. Human conflict may be inevitable; but war and violence are certainly not, he said. “If our age will be remembered at all, it may be remembered for those who dedicated themselves to the cause of peace. “We must believe in and ‘pursue what makes for peace’,” said Bartholomew quoting from the letter of St Paul to the Romans (14.19). “As faith communities and religious leaders, we are obliged constantly to remind people about the obligation and responsibility to choose peace through dialogue,” said the Ecumenical Patriarch. Big and small European, Asian and other nations participated, including Canada, China, France, Iran, Poland, Russia, South Korea, Turkey and Balkan and west Asian countries. The Ecumenical Patriarchate of Constantinople, part of the wider Orthodox Church, is one of the 14 autonomous churches within the communion of Orthodox Christianity. The Patriarch of Constantinople has been designated the Ecumenical Patriarch since the 6th century. He is the most senior of all Orthodox bishops being the first among equals and is often referred to as the spiritual leader for 300 million members of Orthodox churches, but he has no direct jurisdiction outside the Patriarchate of Constantinople.